The Durban Chamber Choir continues its 2016 series of concerts with a programme intriguingly entitled The Great Mystery. Performed under the baton of DCC’s director, Dr Christopher Cockburn, this event, featuring choral music from the 16th and 21st centuries, can be heard in Durban at St Thomas’s Church in Musgrave on October 30. The programme will be reprised at the Hayfields Lutheran Church in Pietermaritzburg on November 6. Says Cockburn: “Many of the great choral composers of the 16th-century Renaissance produced settings of the Latin text “O magnum mysterium” which have remained amongst their best-loved works. In recent years, the same words (and the earlier musical settings of them) have been a source of inspiration for a number of contemporary composers. 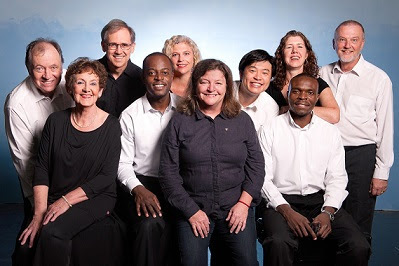 In its forthcoming concerts, the Durban Chamber Choir sings five of the Renaissance settings and four of the contemporary settings, providing listeners with a fascinating comparison of different composers’ responses to the same text. “The words are associated with the season of Christmas, and refer to the ‘great mystery’ that animals should be able to see God lying in a manger. Most of the composers seem to have taken their cue from the word ‘mysterium’ and have created music that is by turns otherworldly and intensely expressive. The predominant mood is one of mystical contemplation, and will offer listeners an opportunity to step out of the busyness of the everyday world into a quieter dimension, but several of the composers also take advantage of the ‘Alleluia’ that appears at the end of the text to create contrasting sections in a lively and energetic style,” adds Cockburn. This is a programme of remarkable music rarely heard in live performance in this country, and in fact some of these pieces will be performed here for the first time. In addition to the choral items, there will be short interludes of music for solo cello played by Nigel Fish and music for organ played by the conductor, Christopher Cockburn.